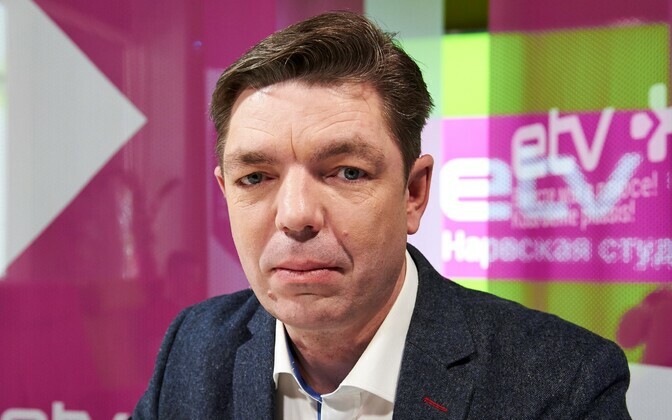 Refugees and, politely speaking, "family values" are issues that can win votes in Narva, but in order to do so, Conservative People's Party of Estonia (EKRE) chairman Mart Helme would have to visit Narva himself, as he is likely the only national conservative who knows how to speak to the Russians, Jüri Nikolajev said in a comment on ERR's radio news. A good colleague of mine from a Russian-language online news portal once complained to me how fickle and unjust readers' interests are. Namely, they had written two articles for the portal: one was a thorough analysis on a very important and socially compelling issue, and the other a story about how a gardener had cracked the owner of the neighbouring property across the back with a hoe. The hoe story quickly garnered a lot of clicks and spawned an angry discussion in the comments section. The story on the socially significant and very important topic, meanwhile, which took the journalist multiple days and even part of one night to write, didn't interest the readers at all. Pretty much the same thing happened with the migration compact. While Estonians driven berserk by fear of refugees argued and dismantled the government, Russian-Estonians didn't so much as bat an eyelash. The same colleague was forced to admit that while Russian-language readers are typically just less interested in Estonian news than Estonians are, they simply did not care about the migration compact, regardless of what headlines that the editors tried to come up with. 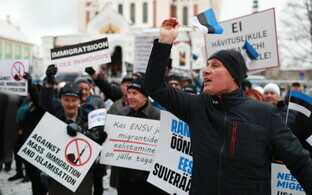 The unfortunate migration issue was rescued from a complete boycott by MEP Indrek Tarand (SDE/S&D), who showed up to swagger at the Conservative People's Party of Estonia (EKRE) protest. As they say in Narva: if you really, really ask for it, you won't not get slugged. Nonetheless, the Tarand incident also fell more under the hoe-waving category than the socially important and significant topics category. Why, then, did the migration compact not excite Russian-language media consumers, although it should have, considering the fact that just a couple of years ago, Narva residents were more angry over refugees than even EKRE is now? There's no one answer, really. First of all, this entire migration compact issue is very confusing, and if the Estonian-language media was unable to serve it as a simple and understandable hoe story, there's no way the local Russian media could have. Which is why the primary message in the media was that the compact does not oblige anyone to do anything. So why get excited over nothing? On top of that, the migration pact was not transformed by the Russian media sphere into a religious issue. This would have required a charismatic religious leader and a clear and compelling slogan that would have driven people to the barricades. But there wasn't. The Centre Party was busy patching up the government, and smaller Russian parties are struggling with internal crises or are unable to think beyond the Russian-language education issue. MEP Yana Toom (Centre/ALDE) as the top influencer of the Russians could have possibly still stirred the people up, but even she lacked either the desire or the time to mess around with refugees. And here is where EKRE would have a chance to woo Russian voters, and that is not a joke. 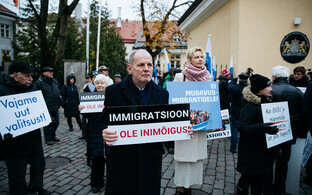 Refugees and, politely speaking, "family values" are topics with which you can win votes in Narva. But for this to happen, Mart Helme would have to personally come to Narva, because he is possibly the only national conservative who would know how to address the Russians. And is EKRE counting on Russian votes in the upcoming elections, especially in Ida-Viru County? Seems not. And so the migration compact scandal, from the point of view of local Russians, appeared to be just bickering among Estonians that Russians have no business being involved in. Also, as one Narva resident told me, why should they check in now? So long as Estonians are busy beating one another up, they have no business with local Russians. Once the mythical migration issue eventually dies down, however, they will start going after us again. So get moving!